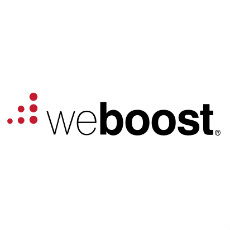 weBoost, formerly Wilson Electronics, America’s leading designer and manufacturer of cellular signal boosters, today announced the Signal 4G, the company’s latest booster designed specifically for the machine-to-machine (M2M) market. The weBoost Signal 4G and other M2M signal boosting solutions from weBoost are on display through Jan. 30 in booth #210 at the M2M / IoT Evolution Expo located at the Miami Beach Convention Center. 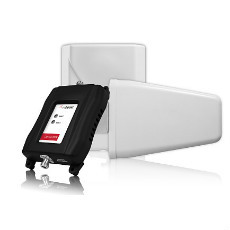 Signal boosters and antennas from weBoost enhance wireless M2M installations located in areas of weak cellular signal to successfully communicate with other devices or with computer networks to transfer monitored data or send and receive remote commands. The result is faster and more reliable connection and data transfer. The latest cellular booster for M2M installations from weBoost – the Signal 4G – works with many weBoost antenna solutions. Its industry-standard SMA connectors allow easy integration with a wide range of data devices. A report from telecom and technology research firm Analysys Mason predicts that M2M device connections worldwide will grow to 2.1 billion by 2021, with 93 percent of those devices connected via wireless networks. Signal boosters provided by weBoost are used in many M2M applications including kiosks, vending machines, ATMs, remote equipment monitoring and control, as well as fleet management. The Signal 4G, weBoost part number 470119, will ship in late February with an MSRP of $249.99.